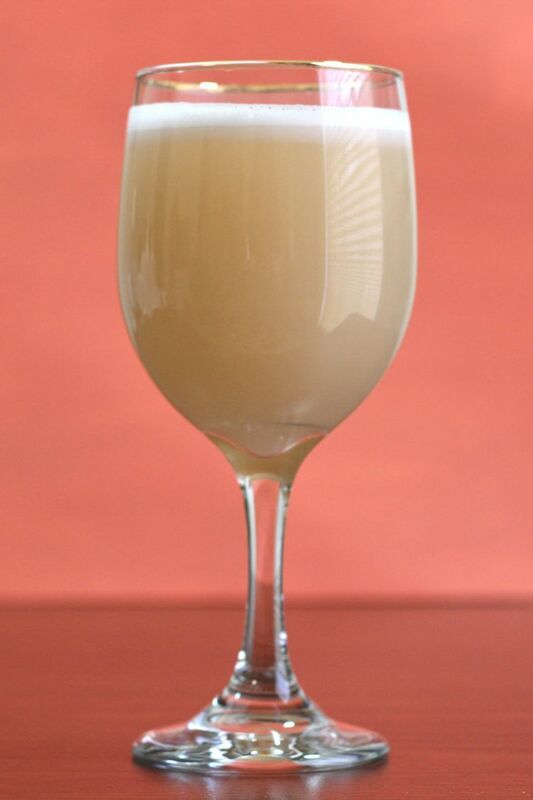 Cocktails that use raw egg white as an ingredient aren’t very popular these days, due to concerns about eggs and salmonella. You can use egg substitute for a safe (pasteurized) alternative if you’re worried. One way or another, many of these drinks are not to be missed. 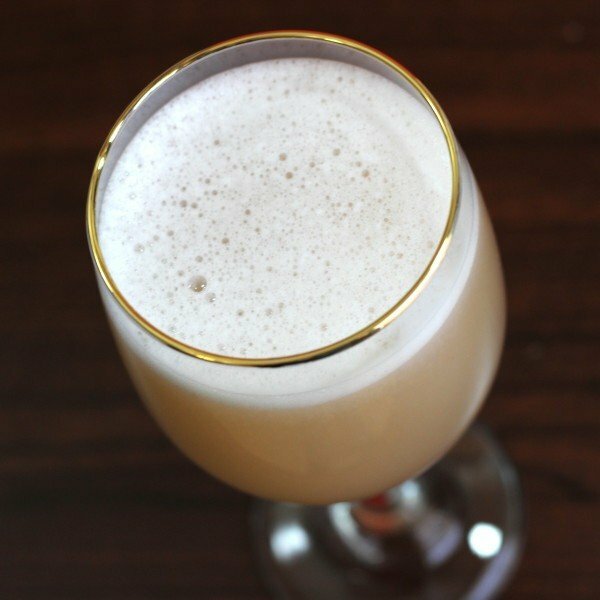 The Round Robin uses egg white to add a nice creamy texture to sweetened absinthe and brandy. Keep in mind that absinthe is especially high proof, and diluted here only by brandy. This is a terrifically enjoyable cocktail that mixes herbal and fruity notes. Shake all the ingredients very, very thoroughly (to mix up the egg white) with ice in a shaker. Strain the mixture into a wine glass.